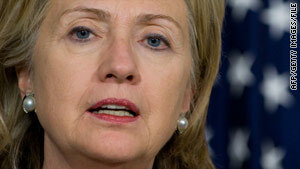 The group forged "a strong draft with the cooperation of Russia and China," Secretary of State Hillary Clinton said. Washington (CNN) -- The United States, Russia, China and other key nations have reached agreement on a "strong" Iran sanctions resolution, Secretary of State Hillary Clinton said Tuesday. Speaking before the Senate Foreign Relations Committee, Clinton said the United States has been "working closely" with its international partners -- the so-called P5 plus 1 -- on a resolution to present to the United Nations Security Council. The P5 plus 1 comprises the five permanent member of the Security Council -- the United States, China, Russia, France, and Britain -- as well as Germany. Clinton noted an Iranian offer to send low-enriched uranium to Turkey in exchange for highly enriched uranium but said it would not stop U.S. efforts to impose sanctions. "We acknowledge the sincere efforts of both Turkey and Brazil to find a solution regarding Iran's standoff with the international community over its nuclear program," Clinton told Sen. John Kerry, D-Massachusetts, the chairman of the Foreign Relations Committee, citing the two countries that brokered the deal. But, she said, the P5 plus 1 "are proceeding to rally the international community on behalf of a strong sanctions resolution that will, in our view, send an unmistakable message about what is expected from Iran."